You have to give Obama credit, this is a man who knows how to deal with a crisis. Some nut like Mitt Romney would run around shooting Muslims from the hip, but Obama meets with his advisers and dutifully studies ways to make each and every crisis that much worse. Because that’s what good government is. Err what do embassies need security for anyway? What are the real odds of a bunch of Muslim Jihadists deciding to carry out a series of embassy attacks timed with September 11? Also who needs 20,000 Marines, let’s cut that money and put it into Solyandra and free condoms for Catholic schools. But that’s okay. Stop looking at the negative and focus on the positive. There’s a silver lining for every cloud. For every Muslim who is burning an American embassy, there’s a Muslim yearning to move to America and bomb our bars, planes and Christmas tree lighting events. Do you know who DOES get a full security detail? Obama’s political adviser. For the first time in history. Because unlike Chris Stevens, Valerie Jarrett is trying to get Obama reelected. And that makes her important. Fortuntely for Obama, Christopher Stevens can’t vote any more. Because he’s too dead to vote. Because the lesson of history is that abject pathetic weakness invariably repeats itself. An American ambassador who had been forced to flee American territory because there was no protection was raped before he was murdered. Then his body was dragged through the streets in shame. Not his shame – mine. Yours. America’s. All of the above happened because Obama’s State Department rules banned the Marines from being in Libya. Which was why all Ambassador Stevens had to protect him was magic unicorn fairy Obama messiah powder. Like his country, he needed hope and change in the worst way and Obama failed to deliver. But don’t worry. Obama had his State Department working overtime to scrub their website of evidence of what a pathetic fool he is. 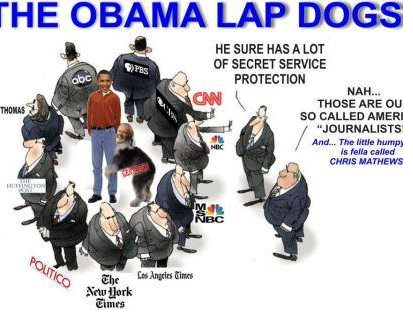 And the mainstream media worked even harder to demonize Mitt Romney for speaking out about what a gutless piece of filth Obama was instead of bothering to report any of the damn story.